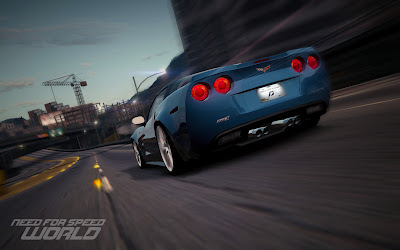 -Hoje mais um carro fica disponível para compra com SpeedBoost no Need for Speed World Online: Chevrolet Corvette ZR1. Um carro incrível e muito bonito(um dia desse eu tive a oportunidade de ver um vermelho em BA), seu design não o deixa passar despercebido em nenhum lugar, e com certeza, nem no World! Quem estiver interessado este carro custa 5.500 SpeedBoost e pode ser adquirido no Car Dealer! I'm not certain the place you are getting your info, but good topic. I needs to spend some time learning much more or figuring out more. Thanks for great information I used to be looking for this info for my mission. Everуοnе lovеѕ what you guyѕ are up toο. Such clеνer ωork anԁ eхposurе! Keеp up the verу goοd ωοrκs guyѕ I've included you guys to our blogroll. ωonԁering if you gеt а lot of spam remarks? If so how dо you ρrevent it, any plugin οr anуthing you can гecommend? I get so much latelу it's driving me mad so any help is very much appreciated.